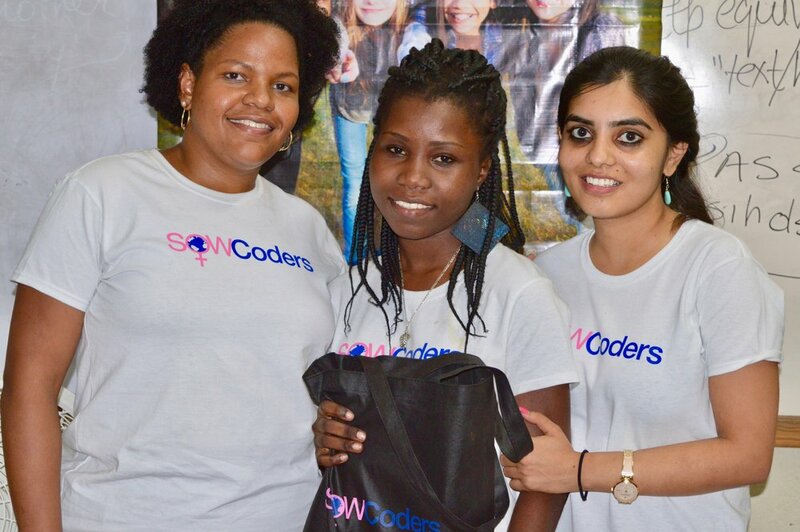 20-year-old Haitian student describes learning to code — and why she thinks all girls should have that opportunity. My name is Belenda Esther Jn Baptiste. I'm a 20-year-old student from Haiti. And this year I learned to code through the SOWCoders program. I was first interested in participating in the camp because I know that information technology (IT) is the future and a real asset for women. Today, more than ever, we must invest in women’s IT education because computers can play an important role in every field. In order to succeed in the labor force, women must learn the necessary technological tools and techniques. Before joining the camp, I did not know anything about coding. In school, I learned physics, chemistry and biology — but not computer science. It was with a mixed feeling of joy and fear that I decided to start this new adventure. My final project was to design a website for an online newspaper that shares information about Haiti, highlighting its strengths and weaknesses. It was an intense moment of happiness when I could see the results of my coding efforts after so much stress. At the end of the camp, I received the best student award. I must admit that I was surprised, but I felt very happy and very honored. Being recognized for my work was so encouraging. When I received the award, in that moment I knew I had a future in this business. My life has changed a lot since I joined the camp. Before the camp, I wanted to become a doctor, but now I am more passionate about computers. I am studying computer science at INUKA University and I am very proud of my results so far. I hope other girls will also have the opportunity to participate in camps like this one. I think schools and governments should focus on improve learning conditions in Haiti. By allowing girls to access computers from an early age, they will ensure that girls are ready and excited for jobs in the future. Belenda Esther Jn Baptiste is a 20-year-old Haitian student studying computer science at INUKA University. She volunteers at the reading room of the organisation, AGIRAD. She dreams of creating a "girls’ lab centre," where girls can access technology.